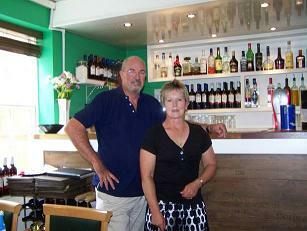 In June 2011, Tom and Diane Fidler from Australia made a visit to England. One item on their agenda was a visit to Stokesley, where Tom's Great Great Grandfather had been the landlord of the Angel Inn (now the restaurant Uno Momento). They made the very good decision to visit the Library, and were helped immensely by the Library staff. 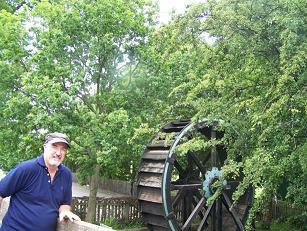 They were shown items in the Local History section, which is partly maintained by our Local History Study Group, and were told about the now-demolished Fidler's Mill, and the fact that the Mill Wheel from this Mill had been restored and preserved next to the Show Field. Diane had been doing genealogical research into Tom's background, and was able to fill in some gaps. The SPIOTA website (this website) contained information, largely from the 19th century, again provided by the Local History Study Group, on various members of the Fidler family. Some of the references on the website relate to cricket, in the 19th century, and cricket is something which is still enjoyed by members of the family today in Australia. Tom and Diane are still interested in Tom's family connections with Stokesley, and would be grateful for any information anyone can provide. You can make contact through this website.